Earrings – Earrings that can merge with your skin and make them your trademark. 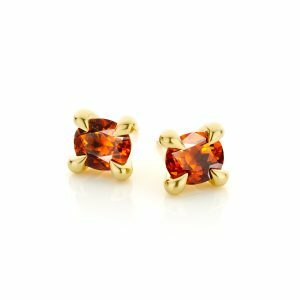 Earrings with real beauty that will make you feel naked without them. 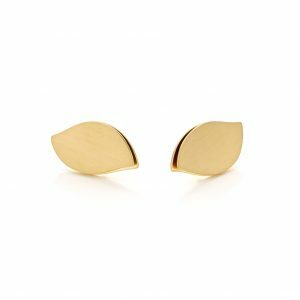 18 karat yellow gold earrings made in a leaf shaped design. 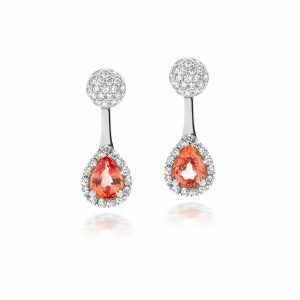 18 carat white gold earrings set with beautiful pear cut Padparadja (orange-pink Sapphire). 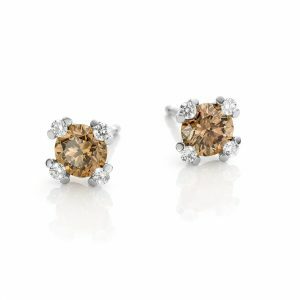 18 karat white gold earstudswith brilliant cut fancdy brown diamonds. 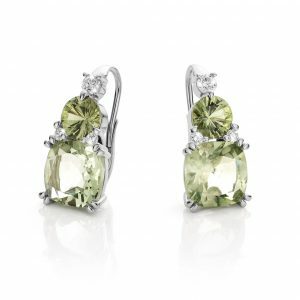 14 karat white gold earrings with a green Amethyst and a green Sapphire surrounded by excellent cut diamonds. 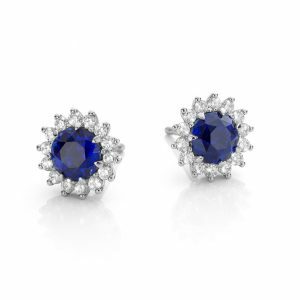 18 carat white gold ear studs with a brilliant cut blue Sapphire surrounded by diamonds. 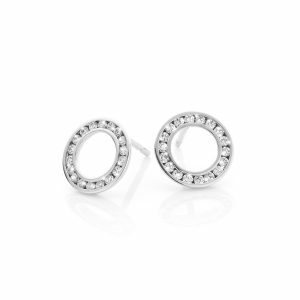 Round shape earstuds made of 18 carat white gold. 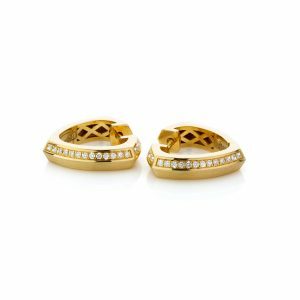 These round earstuds are set with 18 brilliant cut diamonds. 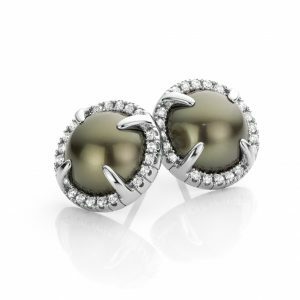 18 karat white gold earrings with in the middle a half triple-A Tahiti pearl, surrounded by excellent cut diamonds. 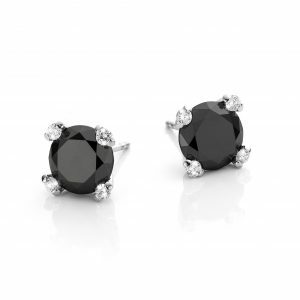 18 karat white gold earstuds with in the middle a brilliant cut black diamond surrounded by 4 brilliant cut diamonds. 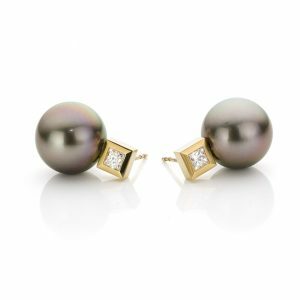 18 karat yellow gold earstuds with peacock-colored Tahiti pearls and excellent princess cut diamonds. 18 carat yellow gold earstuds with an oval cut Tourmaline. 18 karat yellow gold creols with 42 brilliant cut diamonds. 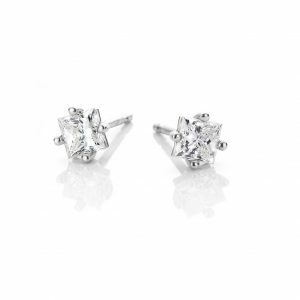 Elegant ear studs made of 18 karat white gold set with a excellent princess cut diamonds.